Online leads are the lifeblood of many real estate businesses, and some agents and brokers pay a pretty penny each month to companies like realtor.com and Zillow to generate these leads with ZIP code-targeted ads and preferred placement on their sites. But, as Boulder, Colorado-based broker E.J. 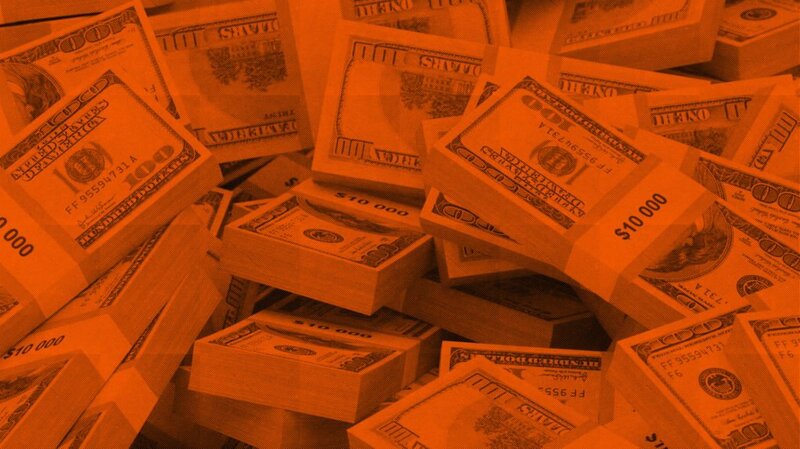 Footer discovered, not all leads are good leads — in fact, behind those leads may be scammers looking to make a buck off unsuspecting agents. Footer says he recently rejoined the National Association of Realtors, and someone suggested that he update his profile on realtor.com (which has a perpetual license to operate the site from NAR) even if he wasn’t planning to purchase leads or use some of the site’s other tools for agents. 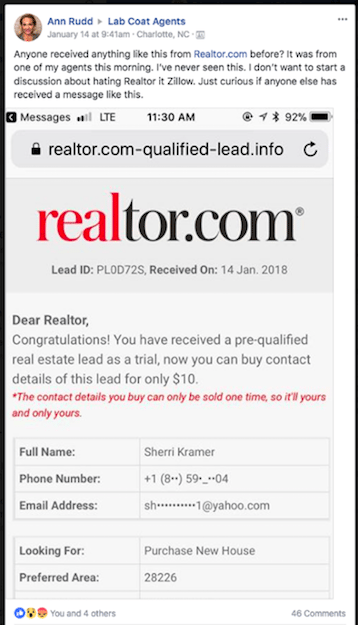 On January 7, about three weeks after he updated his profile, Footer received an email offering one pre-qualified real estate lead as a trial for realtor.com’s lead generation service. To receive the lead’s full information, which included a phone number and email address, all Footer had to do was pay $10. So, Footer sent the $10 using his PayPal account and got a follow-up email with Sherri Kramer’s full phone number and email address. He immediately sent Kramer an email introducing himself, and a few minutes later he got a one-sentence reply from Kramer, saying she was away from home for the weekend and would follow-up when she got back. Footer felt the reply was legitimate and didn’t begin worrying until a week had gone by without hearing from the lead. He looked up Sherri Kramer on Facebook and found a profile that matched the Dallas/Fort Worth area code he was given. Plus, the profile provided some other essential information, such as the fact that Kramer’s husband was a well-to-do dentist — something that quelled Footer’s concerns until he saw a picture on Lab Coat Agents’ Facebook page that looked oddly familiar. Another member of the Facebook group had received the exact same lead as Footer, and she wanted to make sure it wasn’t a scam. The comments quickly started rolling in with realtor.com lead generation clients explaining how the process actually works, and a couple others saying they fell for the scam. The lead’s name, phone number and email were consistent, but the preferred area, price range and specific listing address varied based on who the scammer was targeting. 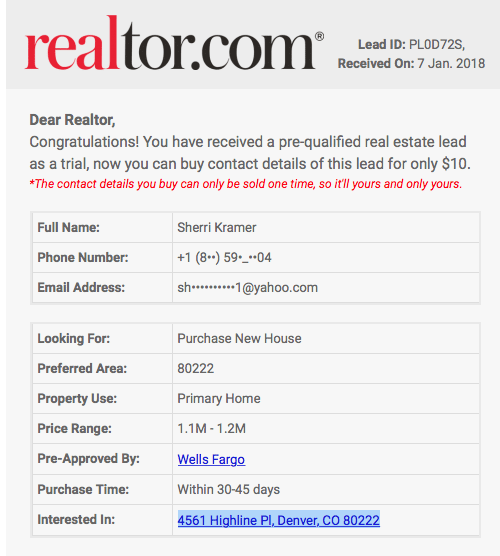 Footer said he recognizes that email scams are common and that he should be more careful the next time around, but he’s wary of the fact that realtor.com hadn’t sent out a warning about the scam that new users, like him, are especially susceptible to believing. Lastly, Farrell says agents should always contact their service provider to verify any “suspect communication,” before following through on buying a lead or any other service.